An aid convoy bringing supplies into the the central Syrian city of Homs has come under mortar and gunfire, leaving one driver injured. The UN is overseeing efforts to deliver food, water and medicine by truck to some 3,000 civilians in rebel-held areas. 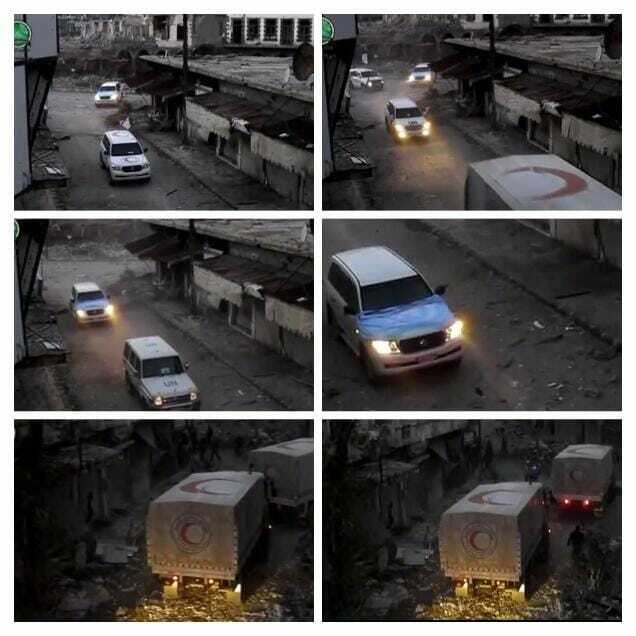 The Red Crescent aid convoy first came under mortar attack and later as it drove through one street it came under fire. Most reports online, carrying images and video claim it is ‘Loyalist’ fire (i.e. Loyal to Assad) or ‘regime’ fire. 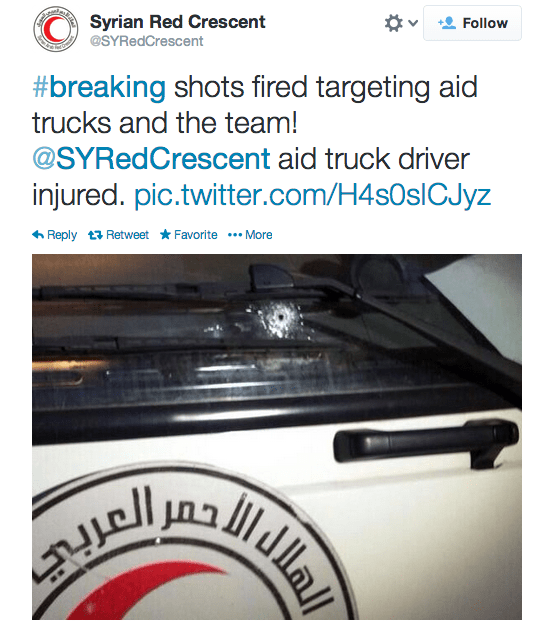 Reports claim that the UN/Red Crescent workers are now seeking cover.